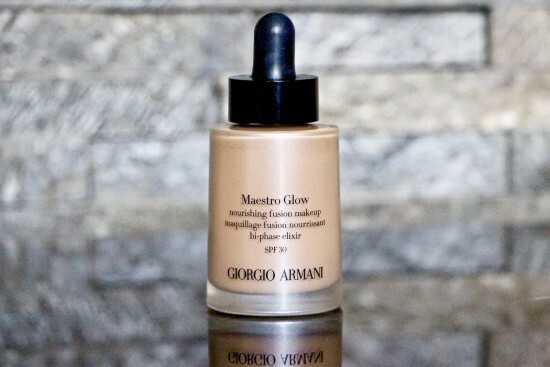 Now this is an exciting launch: Armani’s Maestro Glow foundation – or, to trot out the full product name and description, Maestro Glow Nourishing Fusion Makeup Bi-Phase Elixir. Blimey. It’s quite a tempting little mouthful though, isn’t it? I particularly like the use of the words “nourishing” and “bi-phase” – it all feels very new and novel and unique. And actually, in the sea of velvety-finish foundations I’ve been testing, most offering a “lit from within” sort of radiance rather than anything overtly shimmery or dewy, it is rather unique. For a start, it feels like a face oil. You apply it via a dropper because it’s completely fluid, but when you start to blend it into the skin it seems very much as though you’re working with a dry oil. And then once it’s on the skin, it feels as nourishing and rich as a proper, massage-it-in-and-get-the-glow face treatment. Even after hours of wear, you can still sense the effects of the oils – not a greasy residue, more of a comfortable dewiness, as though you’ve used a very rich moisturiser. 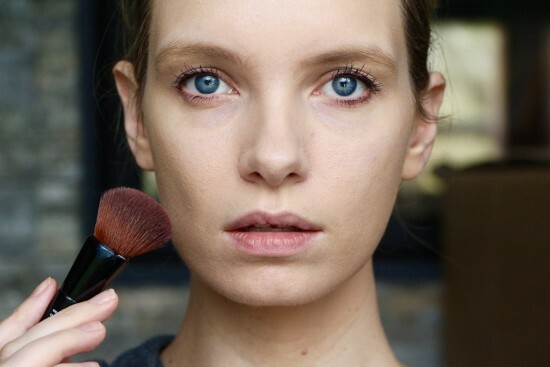 New Flawless Foundations – Which One’s Right For You? Apart from the obvious warmth that Maestro Glow gives to my skin (I used shade 4, read below for more on that) you can see that it has done a fairly decent job in terms of coverage. My bits of redness have disappeared, dark circles slightly alleviated. It’s not a heavy coverage by any stretch of the imagination, but minor niggles are taken care of. The “glow” aspect is fresh and natural – not anything near the same mega-wattage level as something like Laura Mercier’s Illuminating Tinted Moisturiser, but definitely noticeable. I might try and get to the Armani counter when I’m next in town and have a play with the different shades. If I do then I’ll update you here. This is most definitely a keeper, for me; it’s quick and easy to apply and gives just enough coverage. 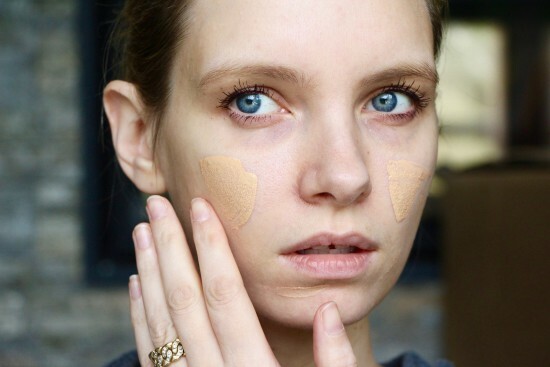 I really do like the water-free, oil-only formula – I’m finishing editing this post a full nine hours after applying the foundation (it’s about the fifth or sixth time I’ve worn it for a full day) and my face still feels in pretty good shape. Hydrated and somehow more youthful than it does when I wear a more velvety finish foundation. I’d steer clear of this if you have an oil problem, obviously, because this would slide like a demon, but if you constantly feel dried-out by your face base and want something comfortable and juicy, go and give it a try. It’s very different. You can find the new Armani Maestro Glow foundation online now, it’s £40 at FeelUnique here and Selfridges here.